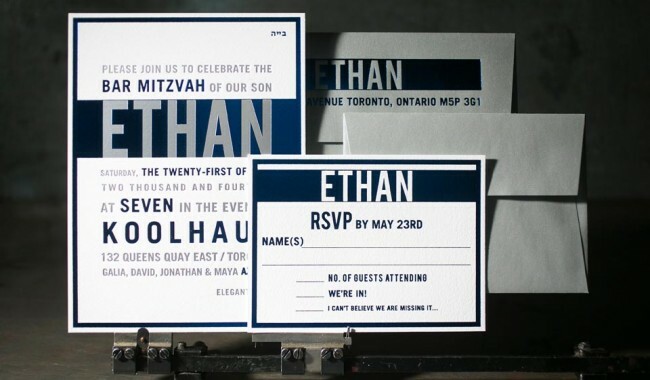 foil stamping. Bella white 1-ply + 2-ply cotton paper. 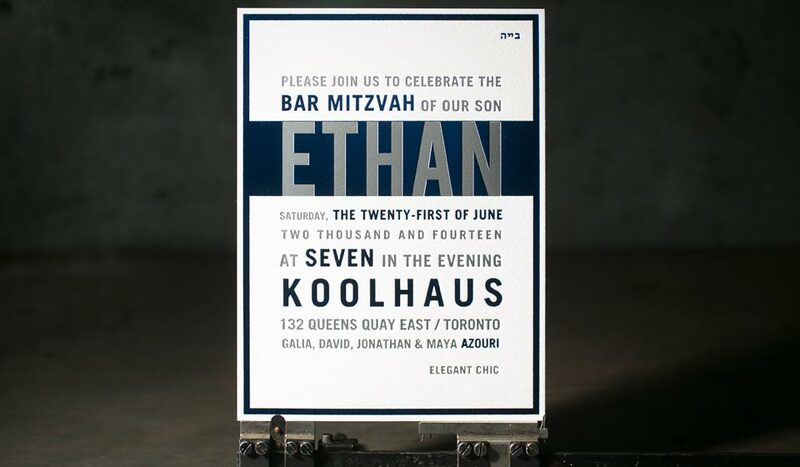 blue shine + silver matte foil. 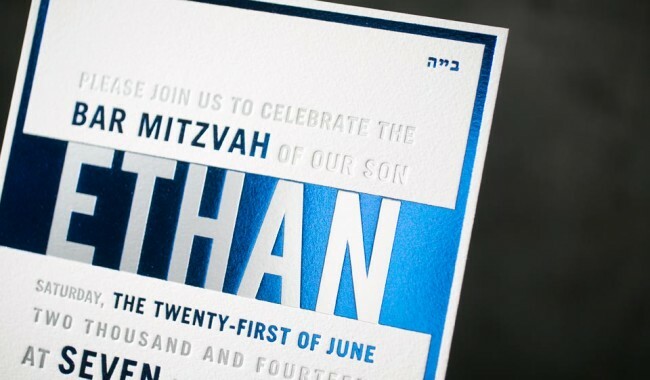 modern foil stamped Bar Mitzvah invitation (6.25 X 8.375), reply card + envelope, outer invitation envelope.